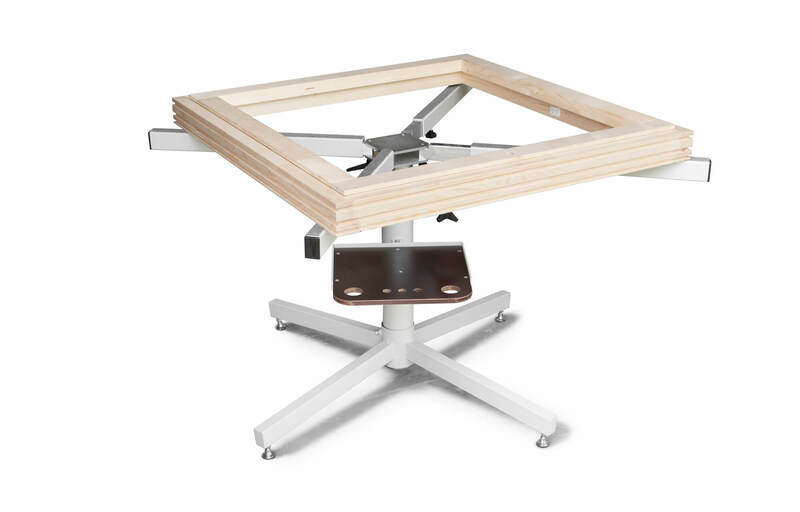 Handy height adjustable table for application of gasket, hardware, or glazing. 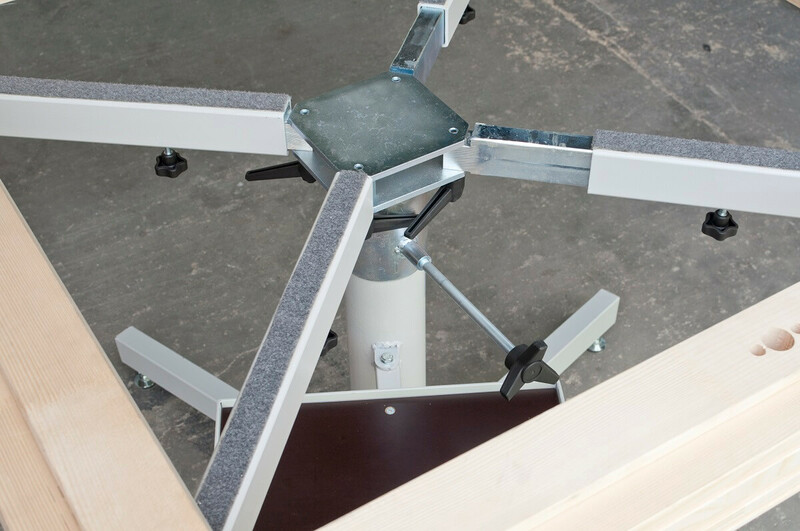 Radial arms are extendable to 1.2 metres in length to accommodate small and large sashes. Includes useful shelf for tools. 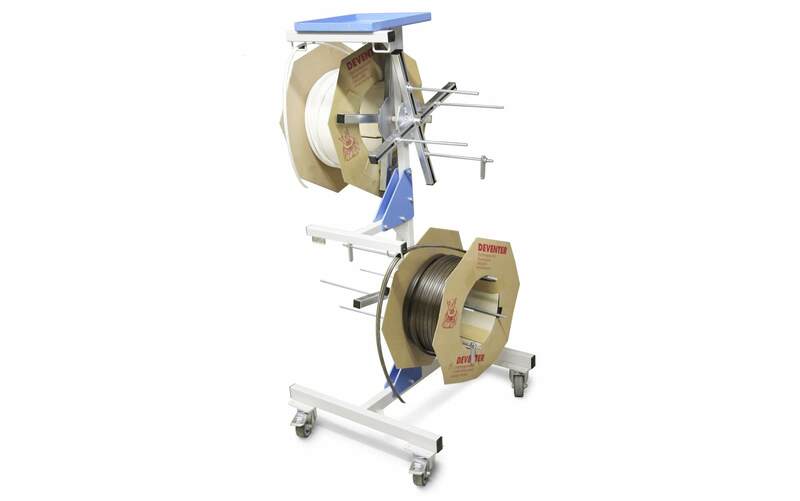 Stand for 2 or 4 coils of gasket with practical storage shelf. 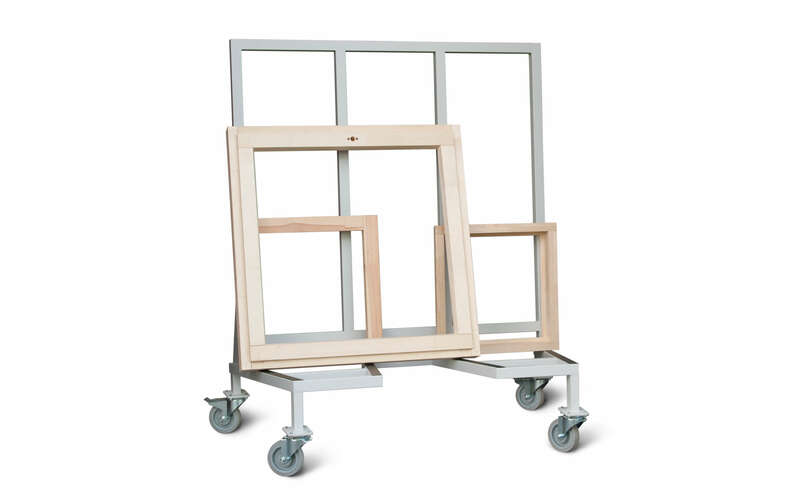 Transport trolley for storage and transportation of assembled frames or finished windows. Empty trolleys are easily stacked one-on-top to save space. 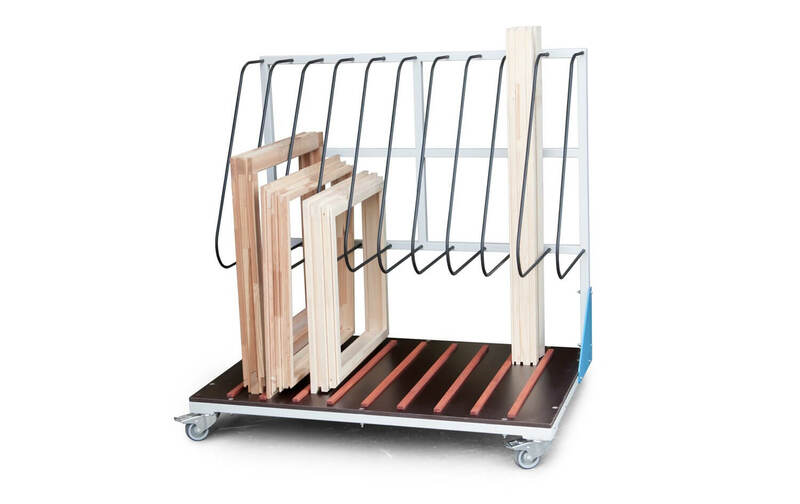 Practical trolley with sections for storing timber ready for processing or storage of whole window frames. 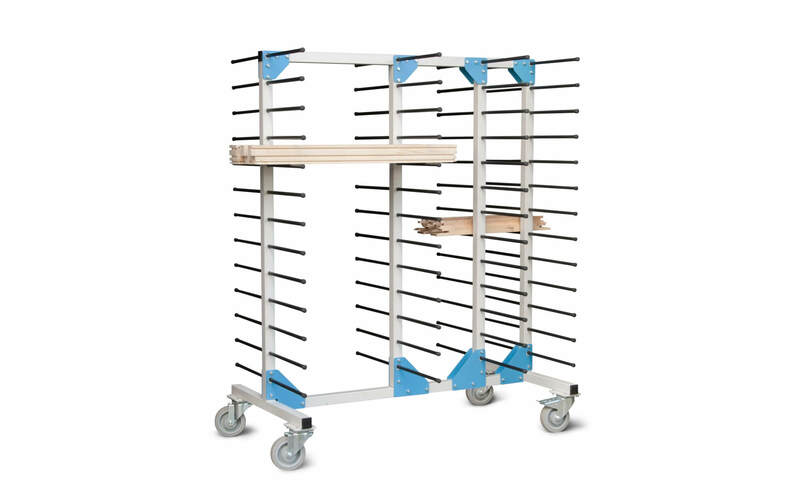 Indispensable trolley for horizontal storage. 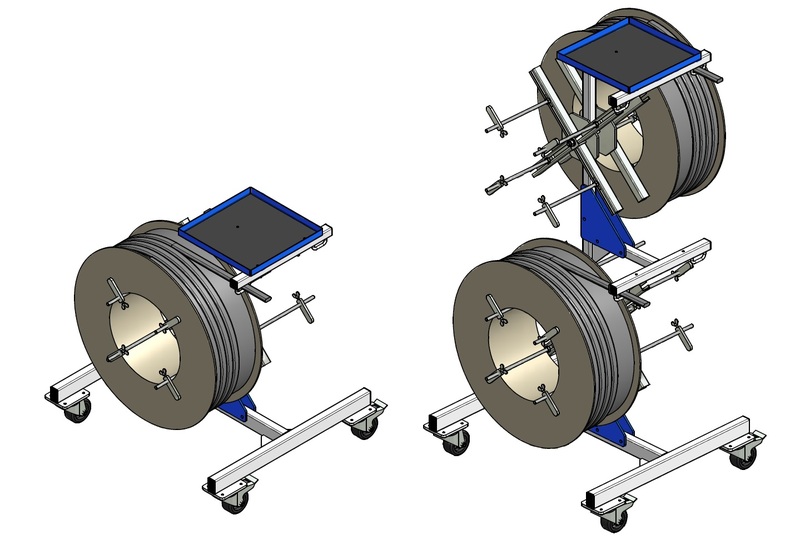 Suitable for storage of presqaured machined parts, pieces for drying after impregnation, parts for repair and sanding or storage before gluing.